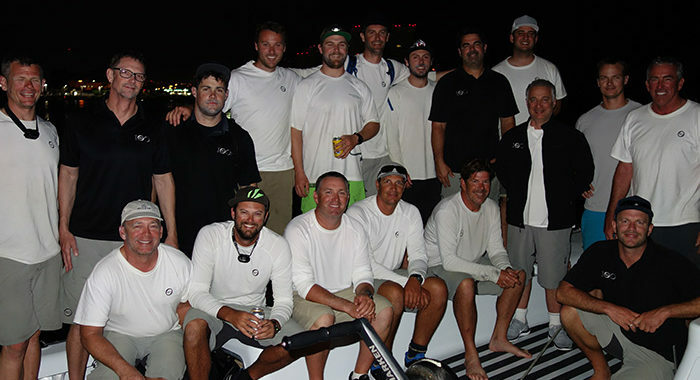 Congratulations to Manouch Moshayedi and the crew of 19 aboard Rio 100, who set the monohull course record by completing the Vallarta Race course in 77.7 hours. Navigator Chris Branning checked in with SDYC prior to the race to make sure they knew what the record was, to set their strategy and make decisions to potentially eclipse the record. The previous record was set in 2010 by Bill Turpin’s Akela at 80.87 hours. Rio 100 managed to finish the race at 1900 local time, avoiding the Tuesday night light air that tends to set in on the approach to Banderas Bay.